I think if he really knew what was fully going on, (like that it’s his birthday! ), he would say he had a super fun weekend with friends and family! Yesterday we had an Elmo birthday party for his buddies, he received lots of boy toys (now he can push a lawn mower outside instead of a stroller! ), and his favorite singer, Miss Staci, gave him a private concert at his party! 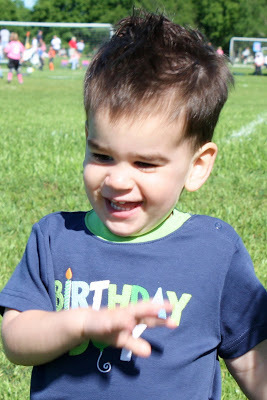 Today he endured both his sister’s soccer games, but not without many treats! Donut holes and cheetos for breakfast, unlimited goldfish crackers and french fries for lunch-with ice cream! (What a nightmare for any dentist/nutritionist/doctor/parent-take your pick!) But you only turn two once, right? 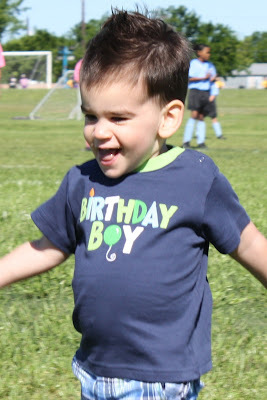 I will be posting probably everyday this week with pictures from his party, his birthday portraits, etc. But for now, enjoy these pics from the soccer fields today. 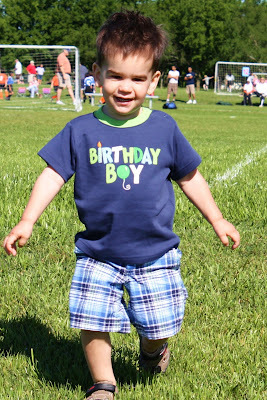 Happy 2nd Birthday Asher !!! Grandpa and I had a wonderful time at your birthday party yesterday. Love ya! 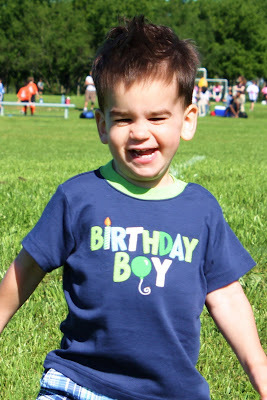 Happy 2nd Birthday, Asher!! What a big boy you are now!! !